Leftists Slam Trump Over Law Enforcement Equipment Policy. Here's the Reality. — Condition Yellow: Stay Alert. Stay Alive. Last week, President Trump announced that he would repeal Obama's ban on military equipment for law enforcement, restoring access to the Reagan-era "1033 Program" under the Department of Defense. The reversal would once again enable first responders nationwide to get better quality equipment to address increasing levels of violence and unrest from domestic terror groups like Antifa and street-level criminals. There are several things wrong with this statement. 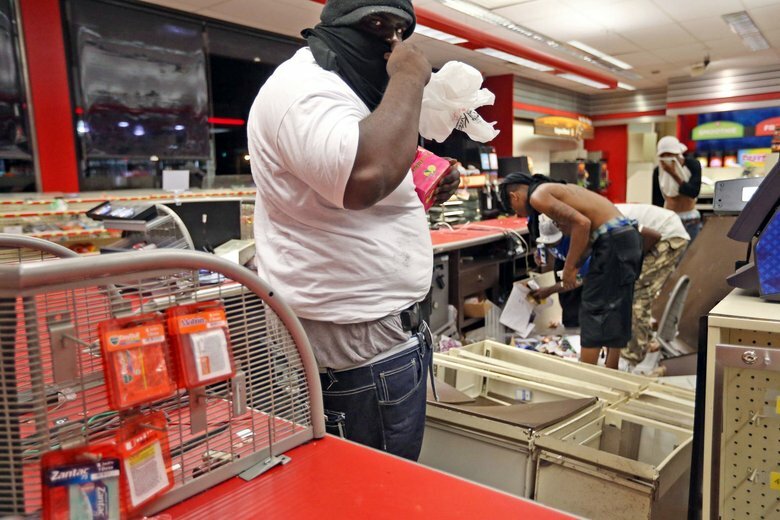 Police did not 'aggress upon' protesters, they simply did their jobs when thieves and vandals tore through Ferguson, burning and looting local businesses. Local law enforcement were not "riding tanks." They were using Armored Personnel Carriers (APCs), which have no extraordinary offensive capabilities — they're meant to protect occupants and provide cover from the projectiles being flung at them. For those without a background in firearms terminology, the phrase "armed with semi-automatic weapons" sounds scary. Semi-automatic literally means one bullet is fired per trigger pull. 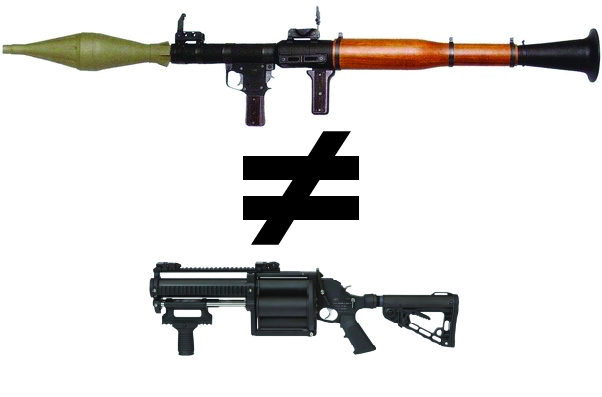 It applies to all firearms, from rifles to the sidearms police carry nationwide. When the city you patrol in resembles a war zone thanks to a criminal underclass running wild, it makes sense to respond with the appropriate tools. Nope, no extra measures needed here. The police didn't put on military gear to attack protesters, they geared up when 'protesters' attacked them. Yep. Just like the Mad Magazine painting. In America, the vast majority of policing is performed by 'normal' uniformed officers. 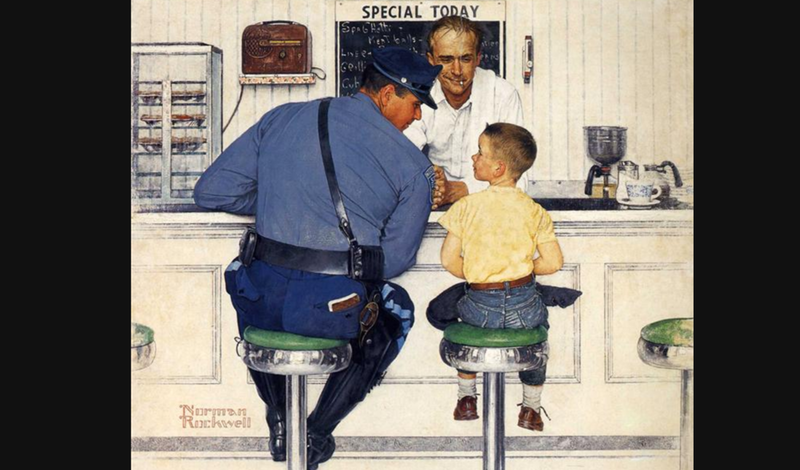 The Mad Magazine painting depicts a highly uncommon scene — officers don't gear up unless there's a threat to respond to. 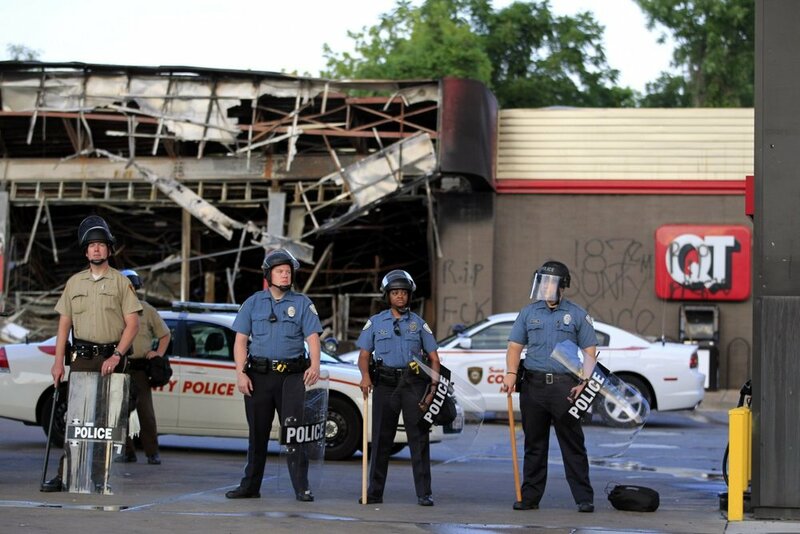 In fact, the officers shown above are wearing their normal patrol uniforms, just with helmets, shields and riot batons. These items are grossly impractical for normal duty and are deployed only in cases of unrest. The catalyst is always the local populace. Just a bunch of 'protesters.' Note the gun tucked in this fine citizen's waistband. Included in the wonderful weapons our extremely well-trained police force are now able to access are rocket-launchers and bayonets. The Trump plan allegedly would re-purpose the bayonets as utility knives. The launchers would supposedly shoot tear gas canisters, instead of lethal ammunition. The article throws in a derisive 'or not' to suggest that instead of tear gas, police would use 40mm launchers to fire lethal ammunition. There is zero evidence to support the insinuation and in fact, explosive shells would be highly impractical for law enforcement usage. Leftists can't tell the difference between these two. At the end of the article, a blurb describes author Angela Bronner-Helm as "a writer, editor, and definitely not a respectability politics kind of girl." Congratulations, Ms. Helm. You're part of the problem and one of the reasons why America continues to deteriorate. If you won't call for protesters to behave civilly, don't be surprised when law enforcement becomes the last standing hope for control over out-of-control leftist violence.